Car Review: 2018 Kia Sorento Si | | A Wheel Thing. A Wheel Thing and Kia continue their long and proud association with the 2018 Kia Sorento Si seven seater spending a few days in the garage before two weeks of Stinger. The car provided has a RRP of $42990 plus metallic paint (Metal Stream) at $595 for a total price of $43585. There’s been some minor changes, both visible and non, compared to the previous model. 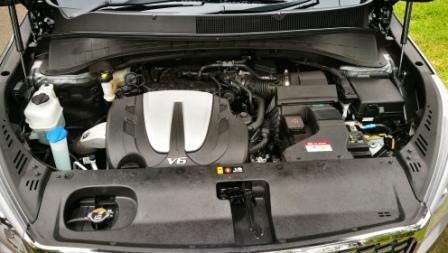 The petrol engine has increased in size to 3.5L, up from 3.3L. Peak power of 206 kW is seen at 6500 rpm, and peak torque of 336 Nm comes in at 5000 rpm. This means the 4800 mm long, 1932 kg Si, capable of towing 2000 kilograms, has fuel consumption figures of 14.2L per 100 km of standard unleaded from the 71 litre tank around town. Get out on the highway and that drops by nearly half to 7.6L/100 km for the 2WD Si. A new eight speed auto is to thank for that and, quite simply, the combination of turbine smooth engine and silky sweet auto is superb. 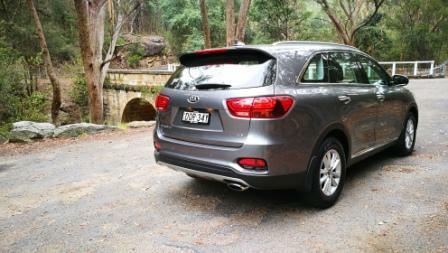 The Si is the entry level model of a four model Sorento range and comes well loaded with standard and safety equipment. 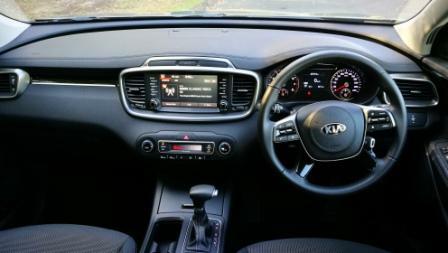 Hold on: A digital and analogue dash features across the range, as does an eight inch touchscreen (up an inch on the previous model) with DAB audio, satnav, safety audio settings for driving, Android Auto and Apple CarPlay with voice control, multi-function steering wheel controls, three 12V and two USB sockets, six airbags including side curtain, Driver Attention Alert, Advanced Smart Cruise Control, and metallic look interior trim. That last one is an issue in the Australian climate as heat soak lends itself to burned fingertips. There’s six cup holders (two per seat row), four bottle holders (one in each door pocket), and a cargo blind is standard as well. The interior itself has received a mild freshen up, with new look plastics, a redesign to the look for the steering wheel and its controls, even the touchscreen and surrounds have been mildly massaged. It’s clean and elegant to both look at and touch. 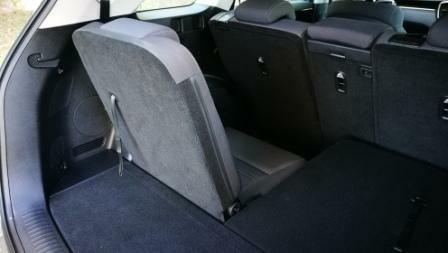 What’s missing from the inside is privacy glass for the rear seat passengers. Although the Si’s seats are cloth there’s no heating or venting until the GT-Line level. However dual zone climate control is standard from the Si up. 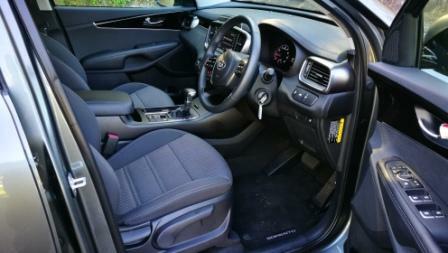 It’s manual seat adjustment for the Si and Sport, with the SLi gaining power seats and two position lumbar support. The GT-Line goes to four way adjustment and thigh support. 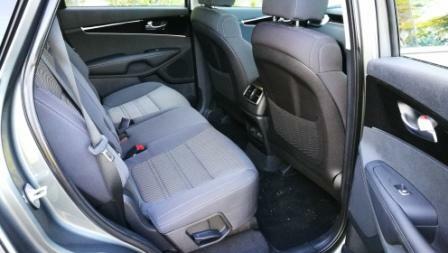 Leg room is always good for the front seats and good enough for most in the centre. The folding rear seats are compromised by design for leg room but wouldn’t be used, one would suspect, for anything other than city style journeying. As always though Kia’s bent towards simplicity when needed is seen here with simple pull straps employed to raise and lower the third row seats. 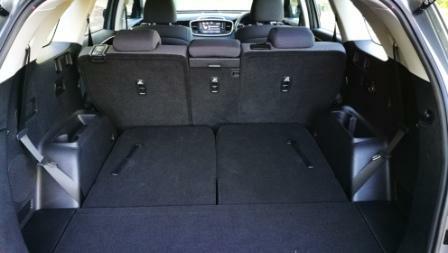 When they and the mid row seats are folded, there’s a huge 1662L of cargo space available. Outside the Sorento has also been given a light massage. The tail lights have been changed in look as has the front bumper, with a smooth scallop underneath the restyled headlights. A slimmer look to the headlight structure which incorporates the LED driving lights and a restyling to the bumper’s design bring a fresher look to the exterior overall. 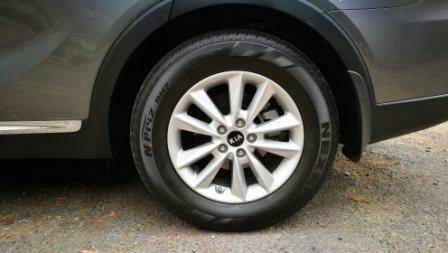 The rubber is from Nexen, being 235/65/17, and is also the smallest tyre/wheel combination of the four. Although they’re a high sidewall, there’s still plenty of chirping from the front even from what could be called a medium throttle application. That speaks more about the tyres themselves than the engine, given the high revs needed for peak torque. Ride quality, as a result, is somewhat spongy, soft, with a reasonable rebound from the front end over some rather large speedbumps. The rear seems somewhat more tied down in comparison. The chassis itself is beautiful. Taken through a downhill rural road that has a mix of sweeping curves, tightening radius corners, and a couple of straights long enough to wind up before braking, it holds on and changes direction with minimal weight transfer. Even on the somewhat spongy Nexen rubber, there’s little to no doubt that you can throw the Sorento Si around and come out the other side. The Drive modes are accessible via a tab in the centre console and have AWT wondering why they’re still offered. In all of AWT’s exposure to such they’ve been barely and rarely used and moreso to find out if they made a difference to the actual feel of driving. 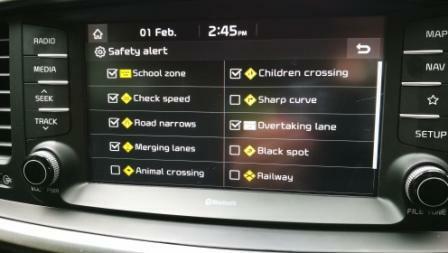 There’s Comfort/Eco/Sport/Smart, with the last an adaptive system to road and driving conditions. Sport holds gear longer and loads up the steering, Eco is designed (and more suitable for) long distance driving as would Comfort suit as well. As mentioned, the engine and transmission are utterly harmonious in their partnership. Light throttle application has the big machine underway easily and with no perceptible change of ratio. 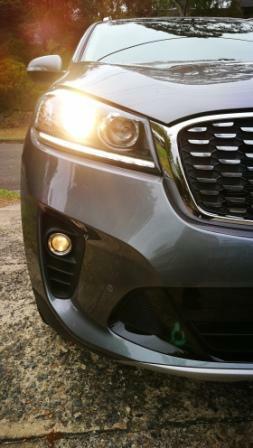 Light the candle and the Sorento will scamper away with alacrity. There’s no vibration in the driveline and absolutely no sense of strain or stress. Jaguar’s V12 was known for its smoothness and this combination would be on a par. On an uphill run, where traffic ahead slows forward progress and then clears, a moderate shove of the go pedal has a momentary hesitation, a deep inhale, before launching forward with surprising speed. As always there’s Kia’s seven year warranty, seven year roadside assistance package, and capped price servicing for seven years or every 15,000 kilometres. At The End Of The Drive. The Kia Sorento Si is for those that want an SUV to move people but don’t want a people mover. The fact that it’s not an off-road oriented car, due to its 2WD and no transfer case, means it’s likely to be used for ferrying the kids to and from school and to sports activities on the weekend. 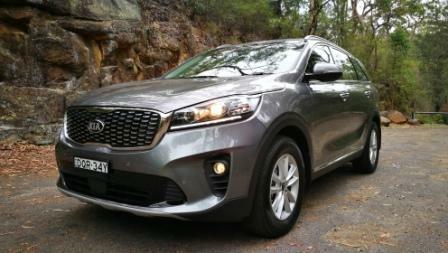 And this highlights the Achilles heel of the Sorento Si with a petrol engine. Economy was never been a strong point of the 3.3L and an urban figure over over 14.0L per 100 km doesn’t aid the cause. AWT finished close to 11.0L/100km which is more reasonable but still largely unacceptable. Be the first to comment on "Car Review: 2018 Kia Sorento Si"